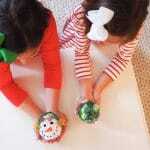 We’ll have lots of fun holiday crafts for kids over the next few weeks. 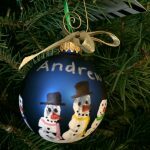 Today we’re kicking off the holiday craft season with an easy, fun ornament craft for kids: a snowman marshmallow ornament. 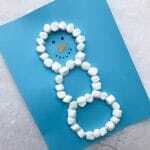 I originally saw this craft in this pin and tried it at home. This is a fun one for class parties! Directions: Carefully remove the top of the fillable ornament. 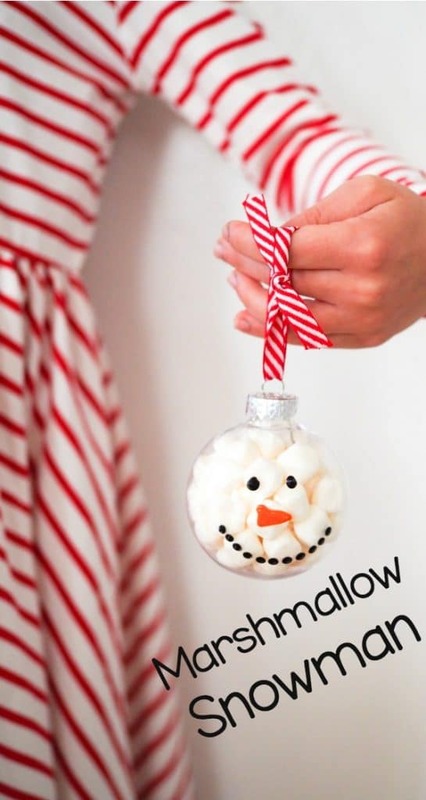 Fill with mini marshmallows and replace the top. 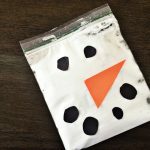 Use the black puffy paint to dot on the eyes and mouth. Use the orange puffy paint to paint on the carrot nose. Let dry. 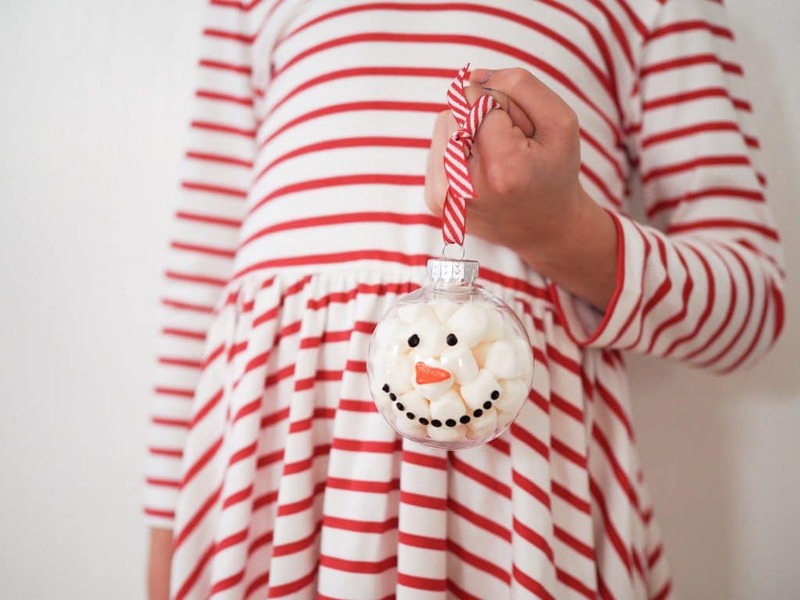 Tie a ribbon to the ornament and hang on your tree for a fun, festive addition!